Kroger and its umbrella brands, including Harris Teeter grocery stores, will phase out single-use plastic bags at all their 2,800 locations by 2025. 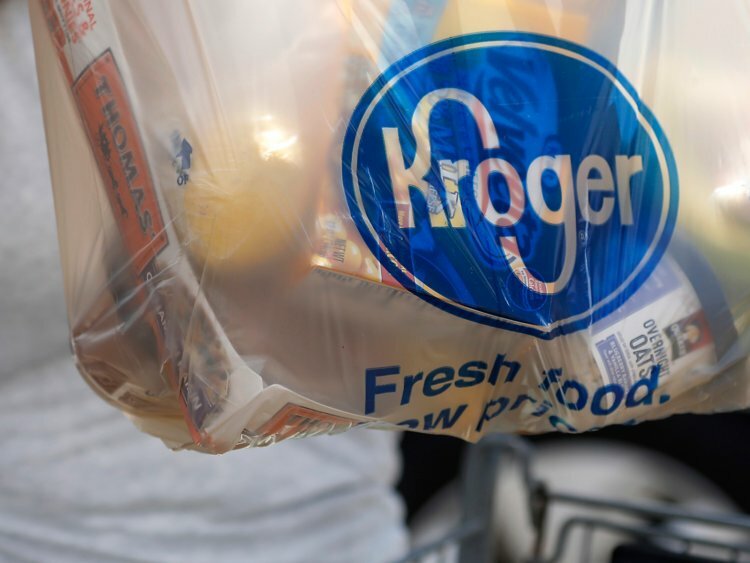 In what's becoming an increasingly popular trend, Kroger Company announced plans to discontinue the use of plastic bags at its stores by 2025. Don't worry, the company promises. You'll be fine without them. Kroger says it will transition to reusable bags instead, following in the vein of stores like Lidl and Aldi, who also ask customers to bring their own grocery bags. Rodney McMullen, Kroger’s chairman and CEO, said the goal to ditch plastic grocery sacks fits with the company's goal to be more environmentally friendly. "As part of our Zero Hunger | Zero Waste commitment, we are phasing out use-once, throw-it-away plastic bags and transitioning to reusable bags in our stores by 2025,” McCullen said in a statement. The phase-out will gradually take place across all of the store's 2,800 locations. Kroger also owns grocery stores Harris Teeter, Ralphs, Dillons, Smith’s, King Soopers, Fry’s, and QFC. Kroger's executive vice president and COO Mike Donnelly thinks customers won't mind the shift. "We listen very closely to our customers and our communities, and we agree with their growing concerns," Donnelly said in a statement. "That's why, starting today, we will begin the transition to more sustainable options." As one of the largest supermarket chains in the United States, Kroger's new policy could have a big impact. Donnelly is pretty on-point by saying plastic bags are "not sustainable." It has become widespread knowledge that single-use plastic bags are pretty much the absolute worst thing we are doing for the environment. Unlike most forms of waste and pollution materials, plastic bags literally do not decay. Rather than biodegrading in a way that other organisms can use or that eventually merges with the landscape, plastic bags photodegrade. Photodegrading takes longer, and when plastic photodegrades, it breaks down into smaller and smaller toxic bits that continue to pollute the environment. As they degrade, they slowly release these toxic chemicals into the soil and natural waterways, where they contaminate the food and drinking water of the animals who live there, causing them to ingest them and become sick or even die. The entire process of a plastic bag decaying takes an average of 400 to 1,000 years, and they never decay entirely. Plastic bags are used for an average of 12 minutes. The average American family takes home almost 1,500 plastic shopping bags a year. Plastic was invented in the late 19th century, and it made our modern world possible. We depend on it. But more than 40 percent of it is used only once, and it turns out this cool thing we invented actually doesn't go away -- like, ever. We are just stuck here with it. And now we're kinda stuck with a lot of it, and we don't know where to put it when we're done -- but we keep using more, which obviously only exacerbates the problem. Also, we kind of forgot how to do things without it. However, I think grocery shopping without them is one thing we can figure out. Do you think a plastic bag ban will actually make a difference? Share your thoughts in the comments below!